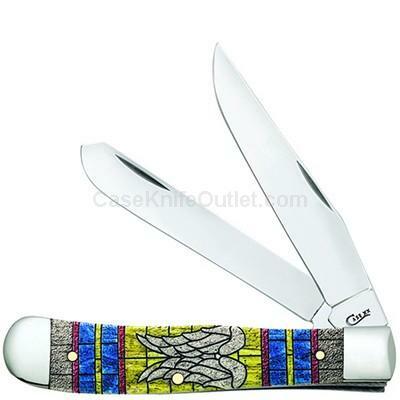 "Angle Wings" Embellished natural Bone Handle with Yellow, Red, Blue and Black Color Wash and Black Definition. Complete with black velvet gift box. Art work appears on both sides of handle. Because we use hand-crafting and natural materials your knife may not look exactly as depicted. Made in the USA.